Ryan Daniel Buell was born on 8 July 1982, in Corry, Pennsylvania USA, of mixed Danish, Native American and Italian ancestry. He is best known as an American producer and reality television star, who worked on the TV series ‘’Paranormal State’’, and is recognized as the founder of the Paranormal Research Society, which he established at the age of 19. 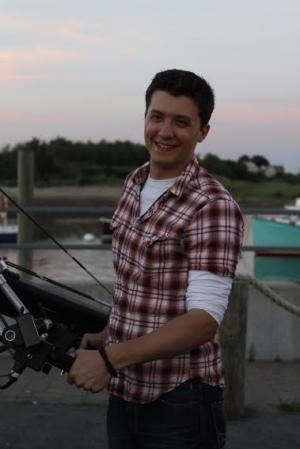 So just how rich is Ryan Buell as of late 2017? According to authoritative sources, this American television personality has a net worth of $1.5 million, with his wealth being accumulated from his over a decade-long career in the previously mentioned field. Although born in Corry, Ryan grew up and spent his formative years in Sumter, South Carolina. When it comes to his education, Buell was a student of Penn State University, located in Pennsylvania, where he studied journalism and anthropology and graduated with a bachelor’s degrees in those fields. Being interested in the paranormal, and having established the Paranormal Research Society, Ryan became further involved in that business later on. His work could be seen on ‘’Paranormal State’’, a television series which ran on A&E from 2007 until 2011, and was also its PRS director and founder. ‘’Paranormal State’’ first episode was ‘’ Sixth Sense’’ in which the cast visited a boy who claimed to have the ability to see dead people. The second season began in July 2008 with an episode about a couple from Virginia, who discovers a shocking story behind the haunting of their house, and ran for13 episodes. The third season began in January 2009, and subsequently, the series ended up having six seasons, with the last airing in April 2011, following a family that had been haunted for years. The series received mixed reviews, with some people crediting it as ‘’reality TV at its real frightening best’’ and others going as far as crediting it as a ‘’ dishonorable mention’’ and one of the worst television shows. Regardless, Ryan’s net worth received a considerable boost. Ryan also made ‘’American Ghost Hunter’’ in 2010, a documentary movie in which he starred alongside Chad Calek, and was also the executive producer of ‘’ The Ghost Prophecies’’. He had other jobs on television as well, but these remain his most notable. During 2010 he also published the autobiography ‘’Paranormal State: My Journey into the Unknown’’, in which he, naturally, discussed his private life and struggles. When it comes to his private life, Buell declares as bisexual, and has had struggles with his sexuality and Catholicism throughout his life. In 2012, he told the media that he had pancreatic cancer, which however, his mother denied. In 2016 he was accused of several minor misdemeanours, including property theft of property, and spent some time in prison. In 2017, he was in a relationship, but the identity of his boyfriend remains unknown, and during the same year he was discharged from rehabilitation.